One of the hidden talents of start.me is our knowledge of useful websites, for example in the field of Lifestyle. With no less than 650.000 active users and over 30 million visits a month, this comes as no surprise. Our users point us to sites you may have missed. Find them all in our section aptly called ‘Discover‘. After a long day at work, we just want to go home and live our happy lives. But we can be faced with more work at home, even when we’re not feeling 100% well. Who doesn’t need help with having a healthier, happier, and easier lifestyle? These 5 great lifestyle sites will give you tips on how to lead a better life because leading a happy life starts with you. Just when you thought your small apartment or condo was too small, you’ll be amazed at what people can do with less than 300 square feet! 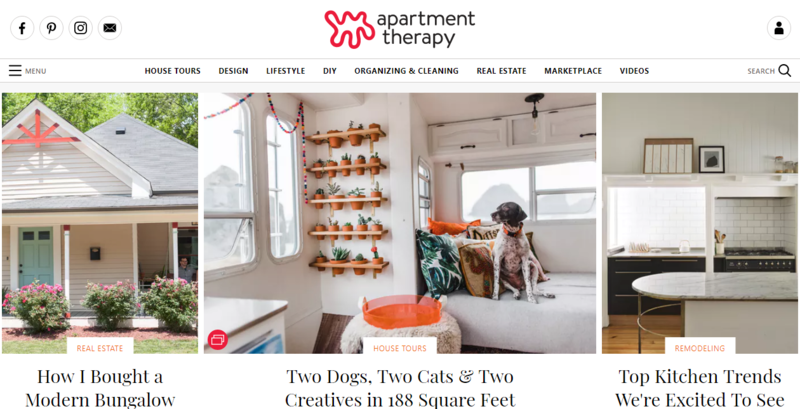 This site showcases unique homes that people have turned from small spaces into warm and welcoming abodes. The site includes photographs and gives you a list of where you can find similar items for purchase so you can complete the look in your own home. You’ll also get ideas for repurposing inexpensive items into useful storage. 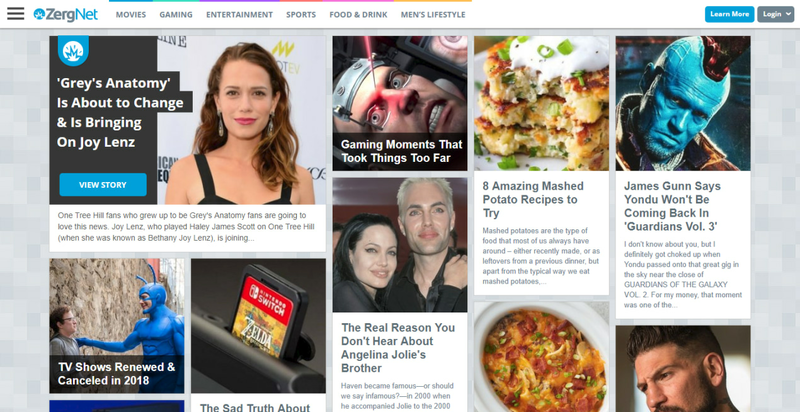 This is a lifestyle site that showcases your favorite celebrities, but can also help you with meal preparation, and tell you what’s happening in the entertainment industry. There’s also a Men’s Lifestyle section if the guys want to skip past reading about the latest royal baby, or fashion faux pas on the runway. The site lists a never-ending stream of articles so you can literally spend an afternoon on there catching up on the news. You can also choose from one of the 6 main topic headings at the top of the site. 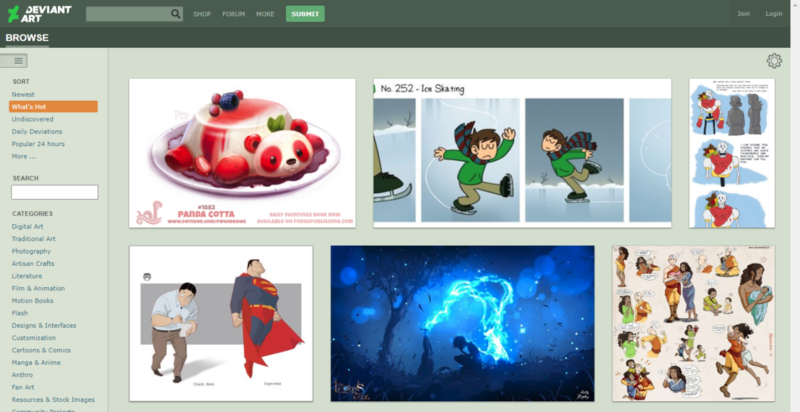 This is a fun site that delivers a steady stream of art, illustrations, and photographs. Artists sign up online and upload their graphics or photos to one of 20 different categories. There is also a search function, so if you want to look at cats all day, you’ll be presented with over 5 million in that category alone. And just like Facebook, you can post comments about what you’re looking at, and engage in conversations with people who have similar interests to you. More can be done in life with the right tutorials. Lifehacker’s aim is to provide you short tips and articles on how to do just about anything. There are short articles and videos presented in 8 different categories: Skillet, Two Cents, Vitals, Offspring, Upgrade, and an App Directory that lists what’s happening in the tech world. The How I Work category features many doers and celebrities from around the world that are doing neat things. You can look up nearly any malady or human disease on WebMD. They present strong fact-based and research-laden information. They also include the natural medicines in a non-biased manner so you can keep your family healthy and well. 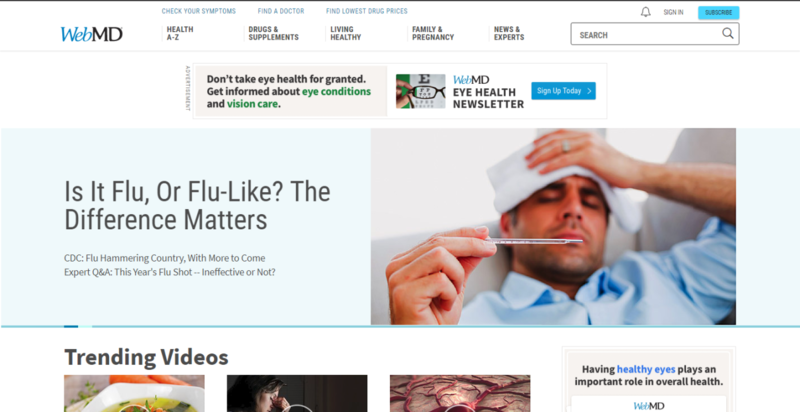 This site also has a search function so you can read all about that strange disease you read about online. If you’ve visited any of these 5 sites, please post your thoughts below. We want to know if they’ve made your life better.